Or, get it for 119200 Kobo Super Points! Improvements in the detection of fetal and neonatal brain injuries, advances in our understanding of the pathophysiology, cellular and molecular bases of encephalopathy, and new treatment options have all combined to produce significant changes in the management of neonatal brain disorders in the past few years. 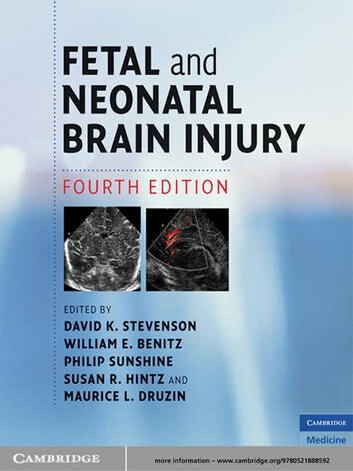 This new edition of Fetal and Neonatal Brain Injury brings the reader fully up to date with all advances in clinical management and outcome assessment. New material includes pregnancy-induced hypertension, HELLP syndrome and chronic hypertension, complications of multiple gestation, neurogenic disorders of the brain, neonatal stroke and much more. 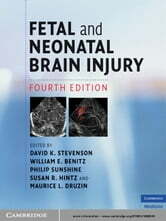 An expanded, highly illustrated chapter on structural and functional imaging of the fetal and neonatal brain is also included. An outstanding international team of highly experienced neonatologists and maternal-fetal medicine clinicians have produced a practical, authoritative clinical text that gives clear management advice to all clinicians involved in the treatment of these patients.